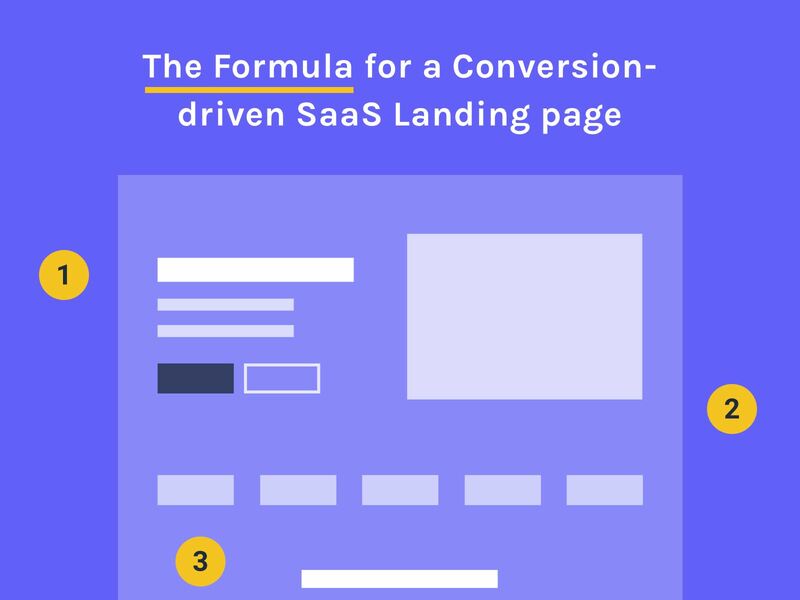 If you can use your SaaS Landing page while targeting more than 1 persona or 1 niche that could benefit from your product than there's a huge potential for generating a ton of revenue. The problem? Being able to sell the same product to people with different needs or objections using the same website is something that companies find very hard to pull off. 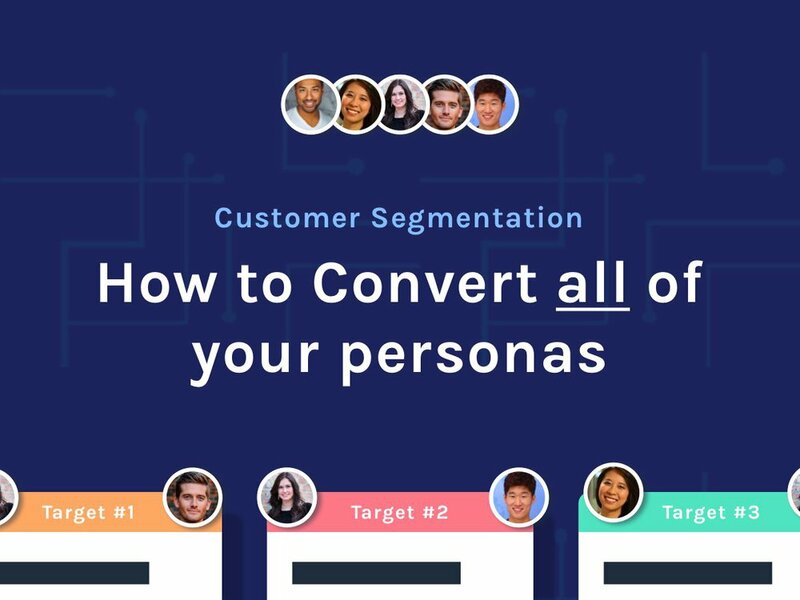 In this article, I'll show you how you segment and convert all of your different target/personas along some examples from other companies (and even some results from this strategy on my own clients). 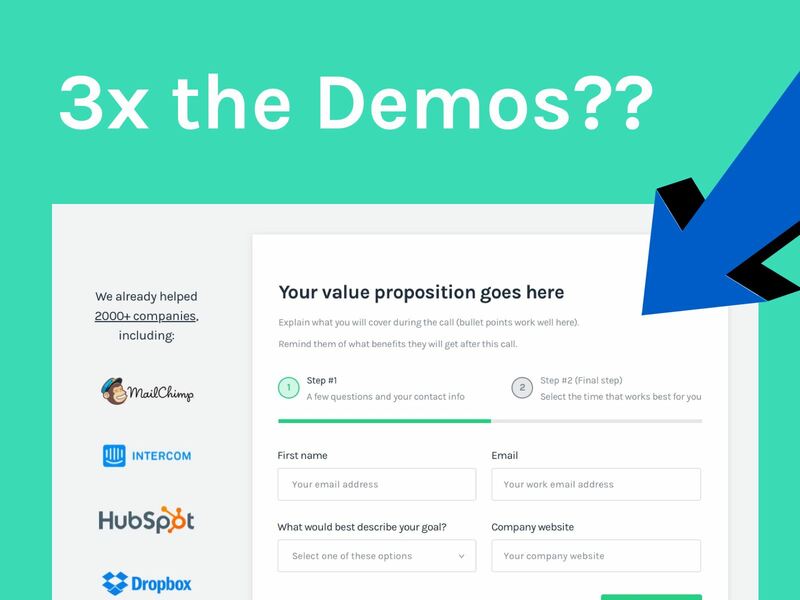 What’s “perceived personalisation” in SaaS Landing pages? "Perceived personalisation" is what I like to call the strategy of selling the exact same product with only a few tweak in the messaging so it's tailored and optimized for every persona you want to sell to. This is an extremely powerful strategy and it's often one of the first tests I build for clients since it's usually a "quick win" type of strategy. When you don't have a process to segment and customise the messaging for each target you end up with a vague message. Vague message = vague value proposition. And... vague value proposition = no reason to convert! Result? None of your personas/target/niches will convert! The reason behind this is that simply people like to feel a certain product is tailored for THEIR needs, THEIR problems and what THEY perceive as a benefit. Check the concrete examples of how other companies are already doing this (I'll show you the ones from my clients later on). Normally I would advise not to take strategies from other companies out of context and I even wrote and article about that here. BUT... in this case, all of these companies had to create segments in order to get that big and therefore are great examples for this article. 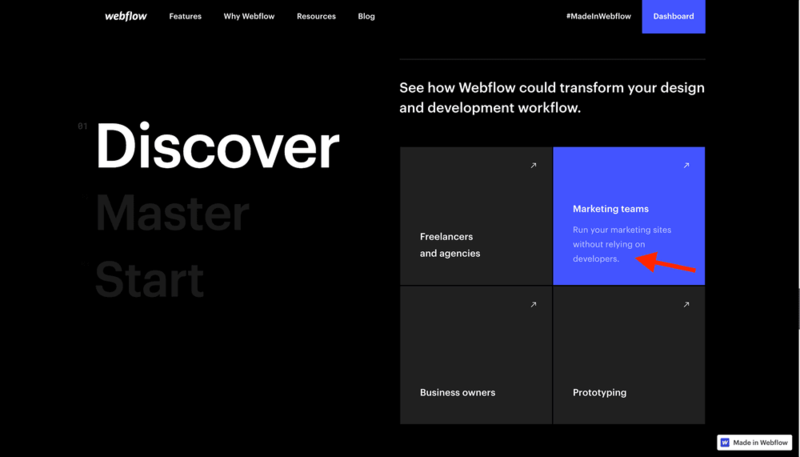 Webflow found that their product could be very beneficial to several different types of buyers and have different benefits. Notice the 4 targets Webflow has and how their benefits are very different before even sending them to a custom page! Freelancers and agencies - can design, develop and manage the websites from their clients. 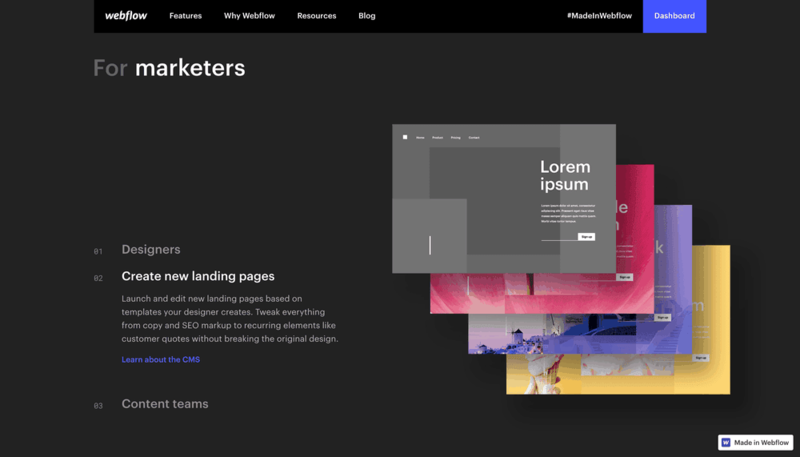 Marketing teams - can test and maintain their websites without relying on a developer. 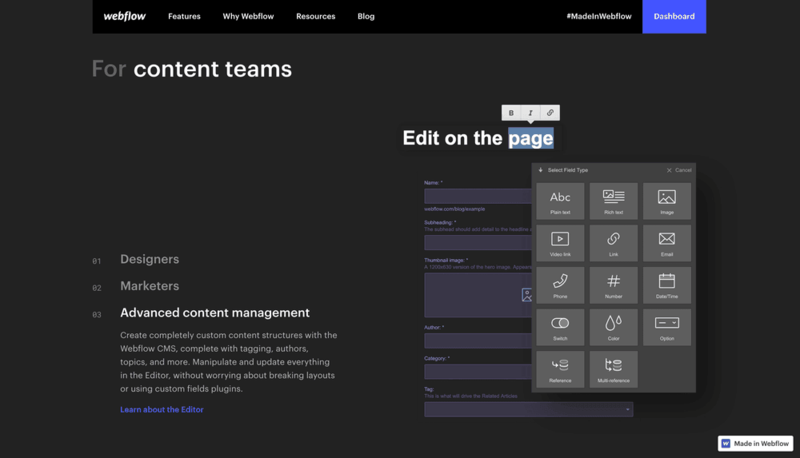 Business owners - merging the great design they want with easy to manage content tools (so they can add and edit content themselves, if needed). Prototyping - being able to prototype websites faster without the need for developers or as proof of concept before starting the development cycle. If you click on the link for the Marketing teams you'll get redirected to this specific page. As you can see, they have a section right at the beginning of the page with very specific social proof. This makes their potential customers think..."This is for me!" "There are already a ton of people EXACTLY in my situation getting value from this!". That's the real (and extremely powerful) social proof... It's not only showing some random people are getting a ton of value from their product but people like THEM. 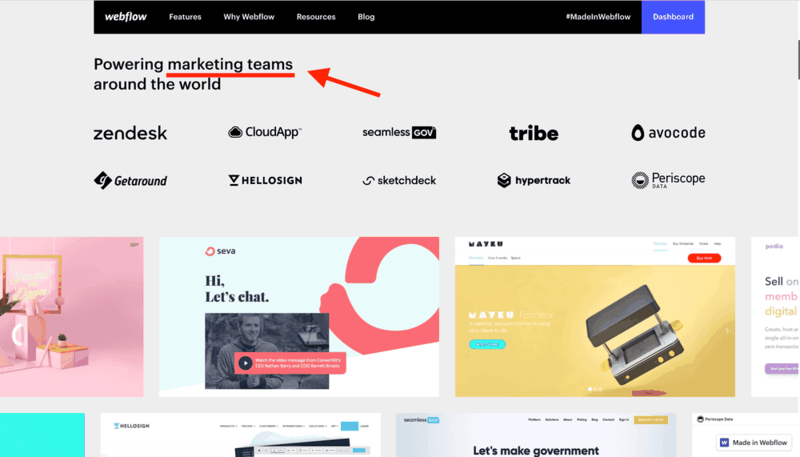 Even inside the same page (tailored for Marketing teams) they emphasise the benefits for every person on those teams and therefore it shows how much more value each person can bring by using Webflow. Yes...Apple...(oh and it's not a SaaS Landing page...) the good example people like to use for everything, but think about it! The marketing people at Apple are absolute genius of selling a single line of products to ten's of millions of people! Personal Use - mostly non-technical people that want a great all around device without having to deal with a bunch of decisions. For Businesses - Focusing on efficiency, reliability and exclusive tools for Mac OS (or iOS). For education (+ higher education) - better use cases for education and better pricing plans. After you go through the more generic benefits of a new Macbook you get the option to learn more about individual benefits for each segment. This is probably the simplest, most plug-in play way to do it. 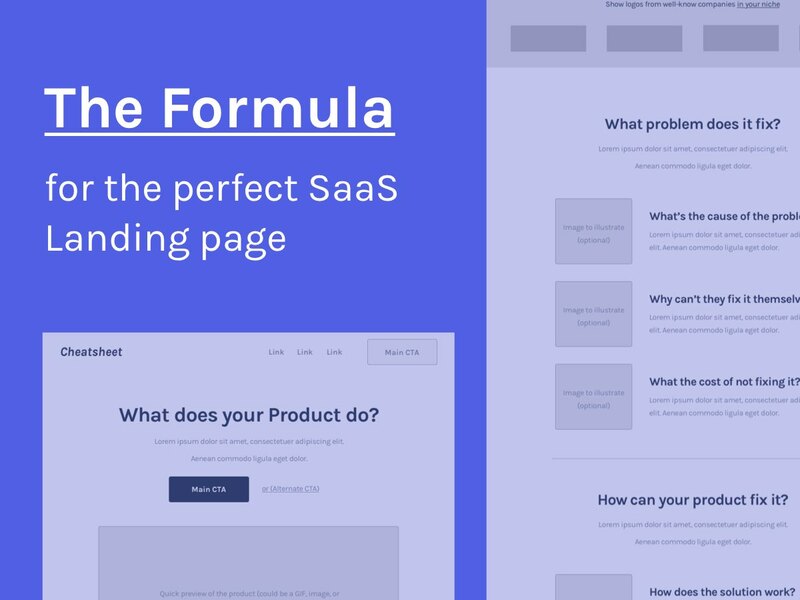 If you are not experience with all the ways of doing this you can simply test adding a section like this after a brief explanation of your product on your SaaS Landing page. Step #1 - Segment your audience properly. The content of your website will be based on the insights you find here, if you do it wrong it's not gonna work that well. Start by making a list of the people that could benefit from a product like yours. Remove people that are too hard to target or that won't have big enough customer LTV. Divide the list into different groups based on different objections, problems, benefits and/or need (how much they will be using it or by how many people). 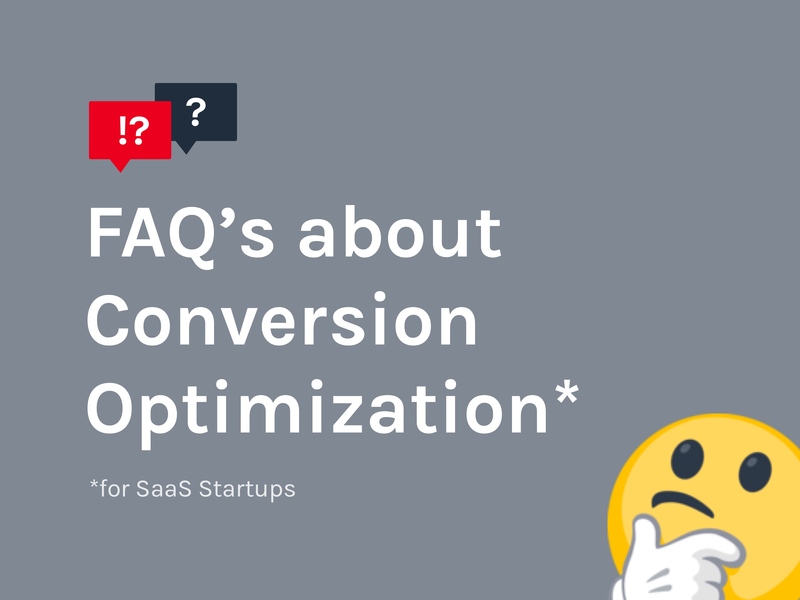 Identify the common objections and problems on at least 80% of them (this will be the content for your SaaS Landing page). You should end up with 3-5 groups most of the time. If you have done this correctly and still have more that 5 groups than there's a special tactic for you in step #3. Now that you have gone through all the mini-steps from step #1 you should have a good idea of which groups you want to target and all the commonalities (and differences) between them. Take the common objections and problems from all of your groups and use that as the content for the beginning of the your homepage. Once you've presented your visitors with the most important common problems between your groups it's time to divide them! If you're not to experienced doing this I would simply recommend adding a section very similar to do this and link to individual pages for each group (as covered in step #3). This time you need to create a page covering the benefits, problems and objections you've identified for each group. "But isn't that too many pages and a ton of work?" Nope...You simply need to come up with a "template" where you can simply change a couple of images and tweak some copy to make it seem fully custom (examples of how I did that for my clients below). Related guide: I broke down a similar page step-by-step here. If you have more than 5 groups you should still create pages for each one but instead of only sending traffic there from the home page you should focus on sending targeted traffic to each page. E.g. 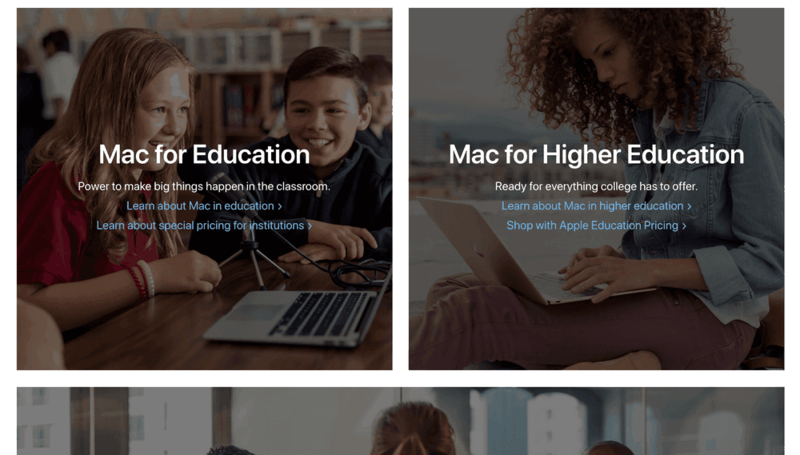 If you're targeting schools as one niche, create ads or content that send school administrators to your offer covering the benefits of your product for schools (and not a generic saas landing page). You can find more details and testimonials in this page. 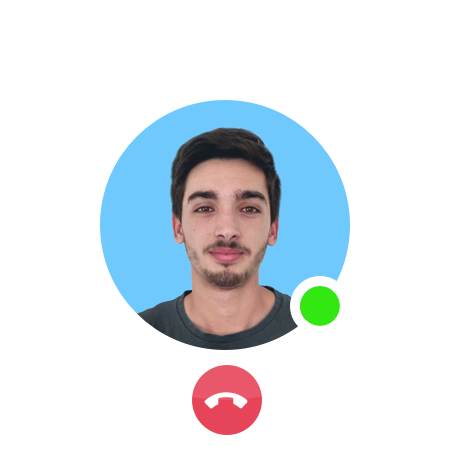 With 130,000+ customers in 170 countries with ten's of different services and 5 currencies there are literally thousands of possibilities and differences between their customers. People were either coming back to get to find the same thing they bought previously or they want to explore what they could buy with crypto. Here are some ways I've split the audience from the Landing page. If people somewhat know what they are looking for they will have the option to select it right away and get their desired products. 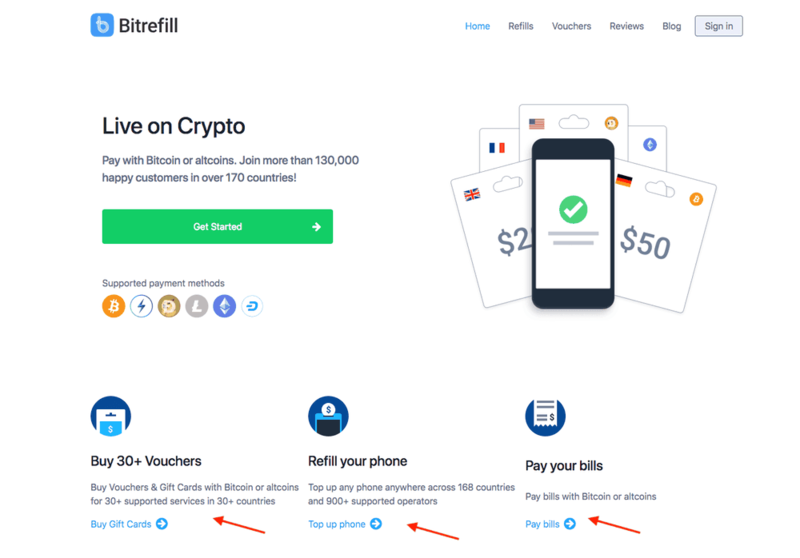 After the top of the page I start introducing more detail about each service so people can make their decision to go to a more targeted page without being to specific about which particular product they want to buy inside that category. 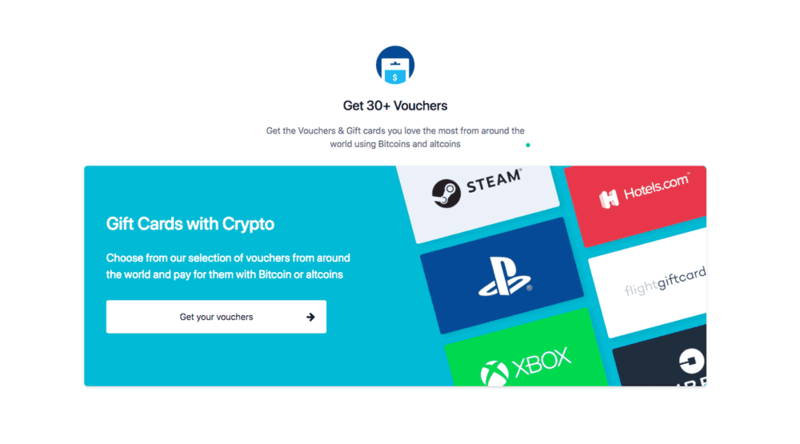 At the very end if people haven't made a decision to go beyond the landing page I showed them different categories of vouchers they can get so they can get an idea of the use cases. This also helps identify which one of these categories are more popular and which type of vouchers they might want to add in the future. 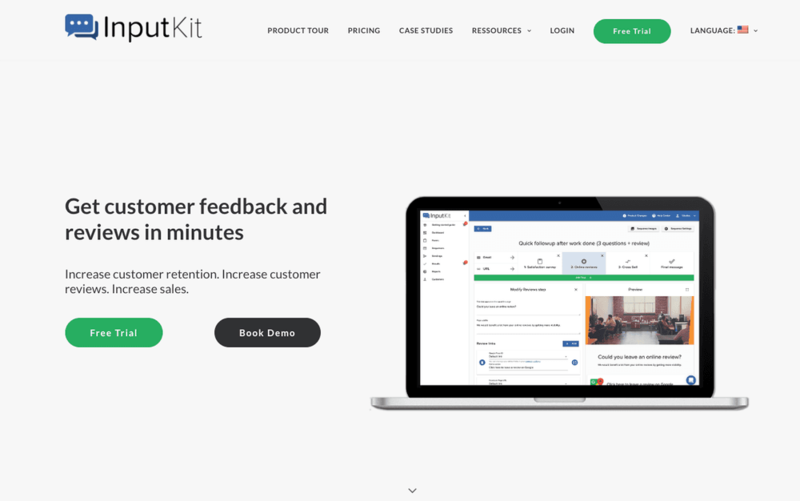 Inputkit.io offers a simple to use tool where you can create surveys for your customers and get a ton of feedback on your product helping you collect reviews from happy customers and identify the ones who are not satisfied (to help you increase retention). "Get customer feedback and reviews in minutes"
Does that sound like and easy to understand benefit? Does that sound tailored to niche inside SMB's? Nope...and that's why InputKit was struggling to acquire customers with it's SaaS Landing page. It needed to focus on benefits business owners were looking for and make them feel that product was tailored for them. I've defined how many different business could benefit from this product. Defined the #1 selling benefit for each one so they don't get confused. 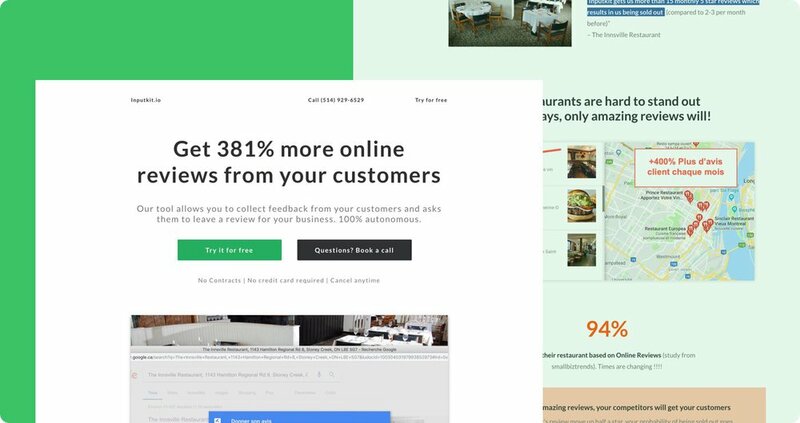 Identified which would be the easiest to target and to have social proof (one of their current client was already a restaurant getting good results). 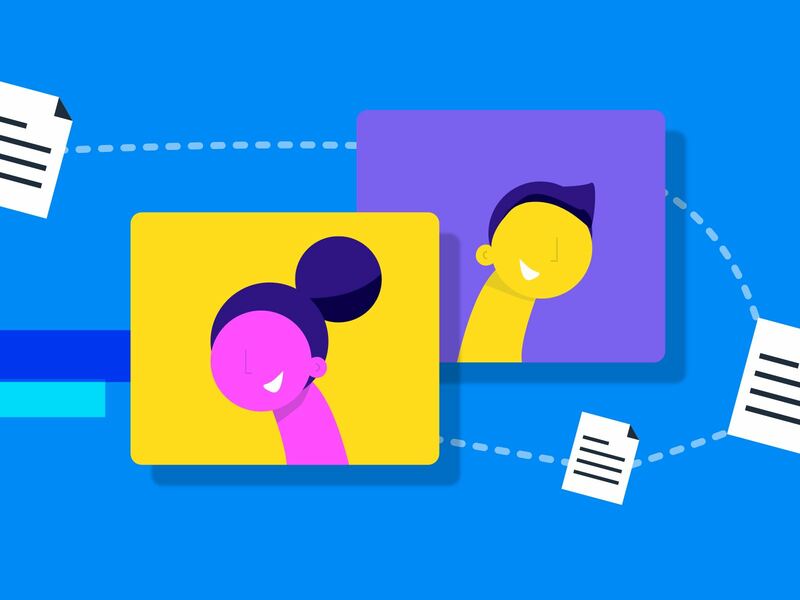 Created a template where he can simply tweak the copy and images and seem 100% tailored for each niche, this way, the founders could identify which one they should double down on. 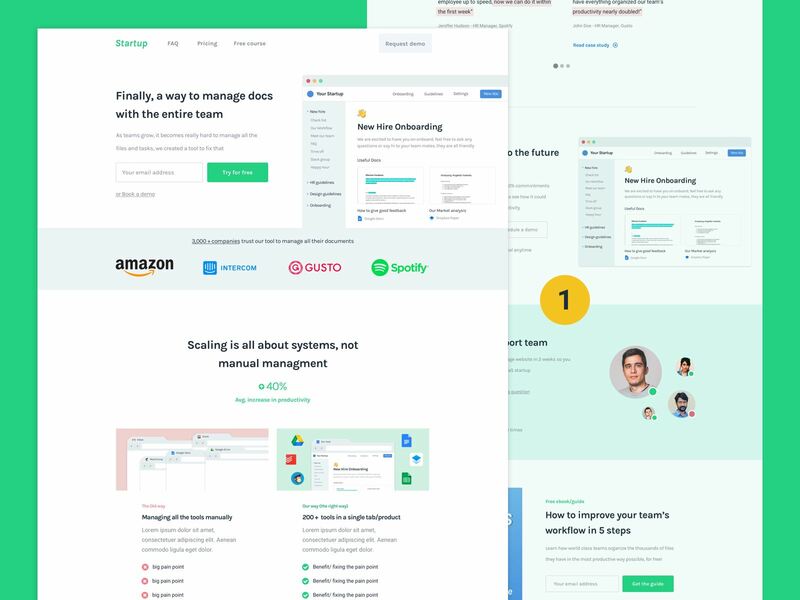 Instead of sending them to the generic SaaS Landing page we know can send each niche to it's specific page. After the discovery process we decided to try restaurants first and focus on the benefits of getting more online reviews. People went from delaying their decision to even try the product for many months to understanding the value right away! Philippe (the CEO) was able to close annual plans (not even free trials) only days after implementation...Here are some words from him. 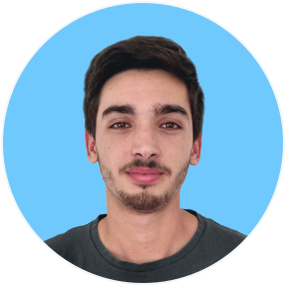 "I spent around a year struggling to convert more people into customers as people didn't understand the value and kept delaying their decision to try InputKit (even with a high touch approach). Now with only one small part of the funnel implemented people see the value right away and I'm confident I could acquire as many as 10 customers a day with the same ad spend!! Thanks Pedro!" That's the power of personalisation, make sure you apply it to your business too! Want to convert everyone that needs your product? As you could see from the article, that's quite a tricky thing to pull off (without a process/experience) but it's definitely possible! If you want to see how much your business can grow and how you can use your website to acquire customers at scale (by the thousands) you can schedule a free consultation below. What's keeping you from scaling you're customer acquisition. What you can do to make your website sell your product for you at scale. If there's a fit to work together and me helping you get there. 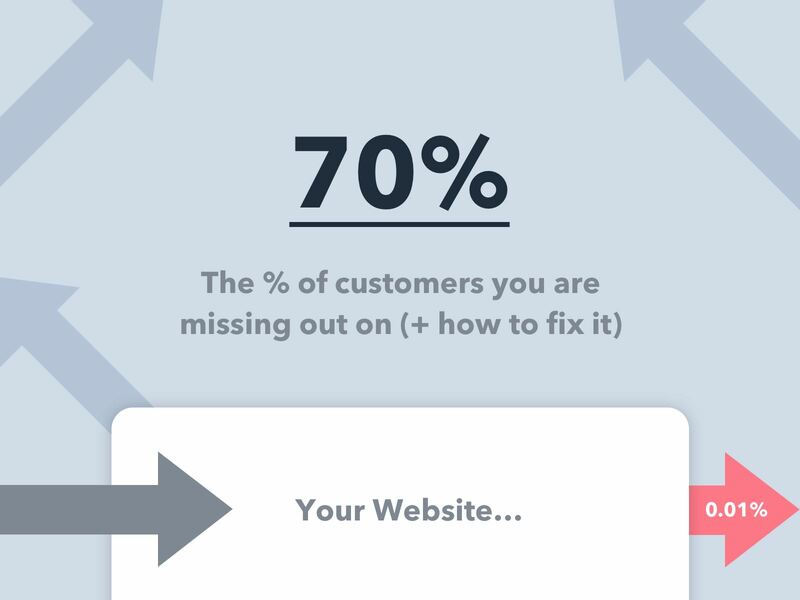 Want to turn your visitors into customers? Apply for your free consultation here.